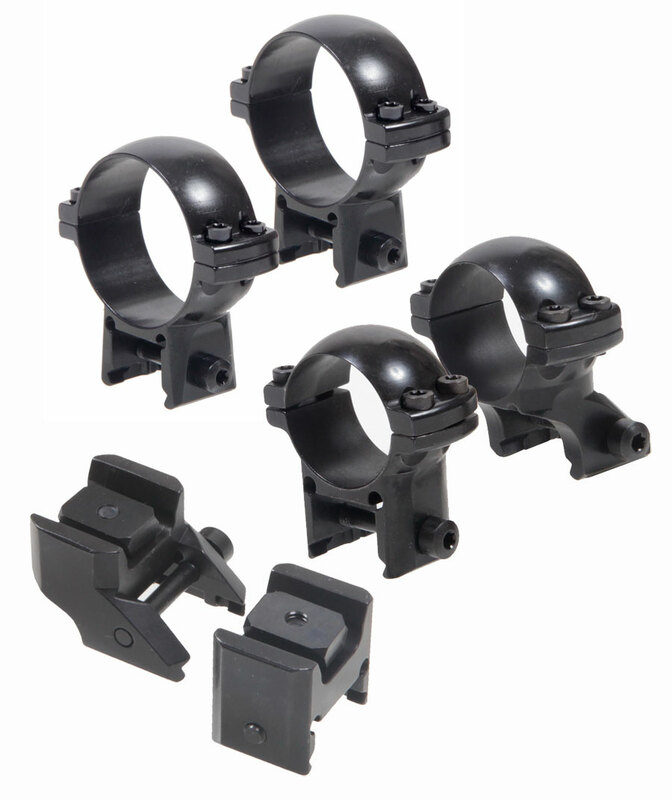 Schultz & Larsen ‘Slide & Lock’ scope mounts. The mounts attach with Torx screws and, for convenience, these can be changed to QD levers. The Torx screws have the advantage of being flush fitting and can be tightened with a torque wrench when changing between positions. Tightening to identical torque will reduce any changes in zero to, well, zero. With QD levers you have the advantage of convenience but are unable to use a torque wrench. In practice this is not a major issue. Loosely speaking, torque is a measure of the turning force on an object such as a bolt. Torx, developed in 1967 by Camcar Textron, is the trademark for a type of screw head characterized by a 6-point star-shaped pattern. For those who prefer a different mount, all Schultz & Larsen rifles are drilled and tapped to accept alternative bases such as Weaver. If you need help selecting the right height for your scope you will find a quick guide on the Technical Page. The combination of the S&L Picatinny Rail and Rings allow for exceptional results when mounting your scope. The rail at 7mm BH plus the lowest rings at 4mm BH, gives a total height from the action of 11mm BH. A very low result shown here. Picatinny and Weaver Ring Mounts are made in house at Schultz & Larsen. Again, these are made from high grade steel and have an extremely solid construction. The picatinny ring mounts will only fit to picatinny rails and are not made to fit the weaver profile. The weaver ring mounts will fit both piactinny and weaver. Recknagel Weaver Base Mounts. 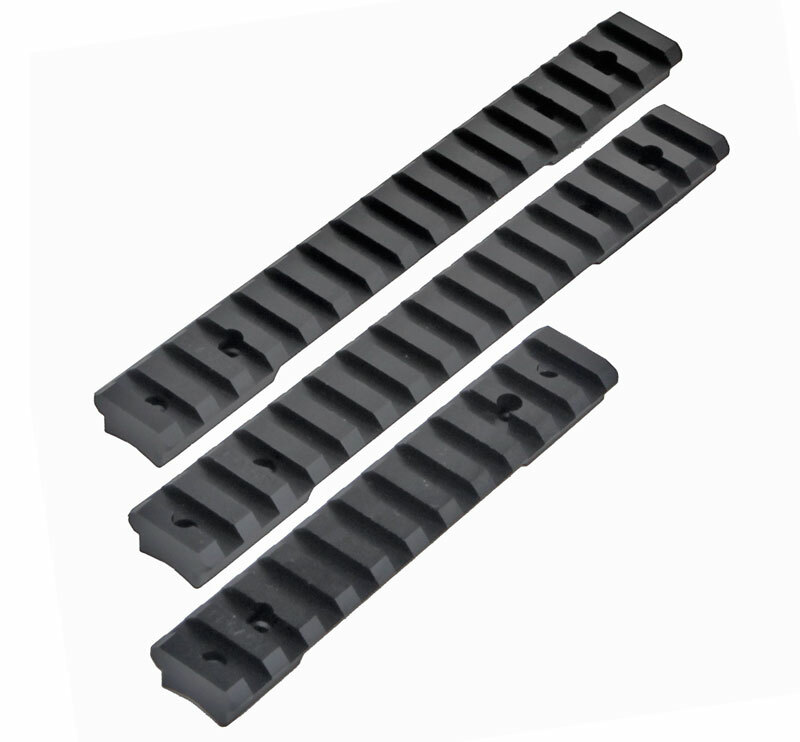 Made from anodised aluminium, a perfect option as an alternative to a full length rail. Note that these bases are actually Weaver size and will not fit the larger Picatinny width rings. 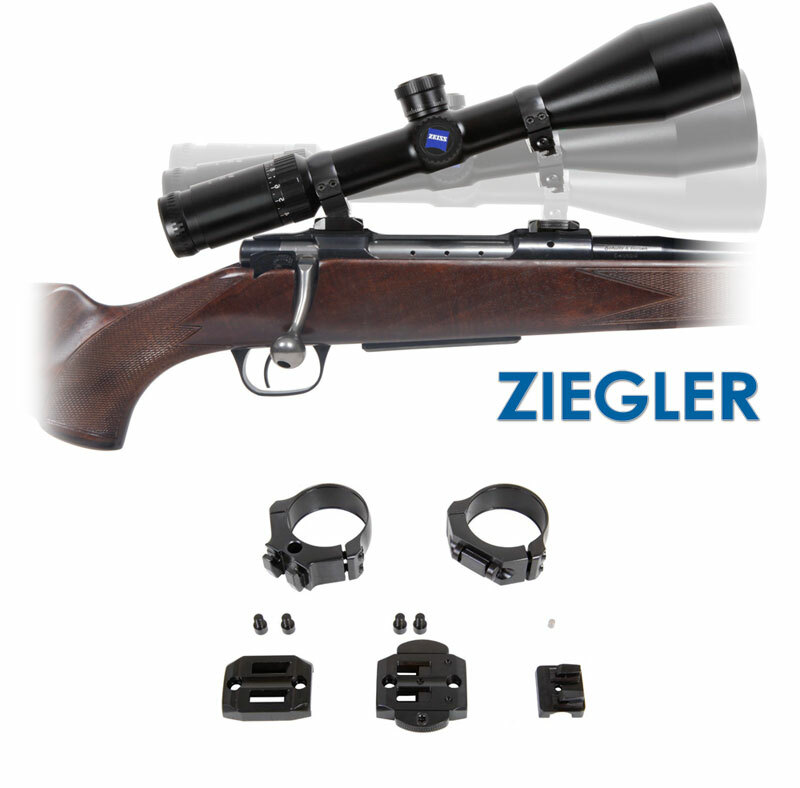 A Quick Detachable claw mount made by German company, Ziegler. Designed by a passionate hunter, working in highly precise CNC machinery for the Formula 1 industry, who wanted a repeatable zero quick detachcable mount for when travelling and cleaning your rifle. So he made one. 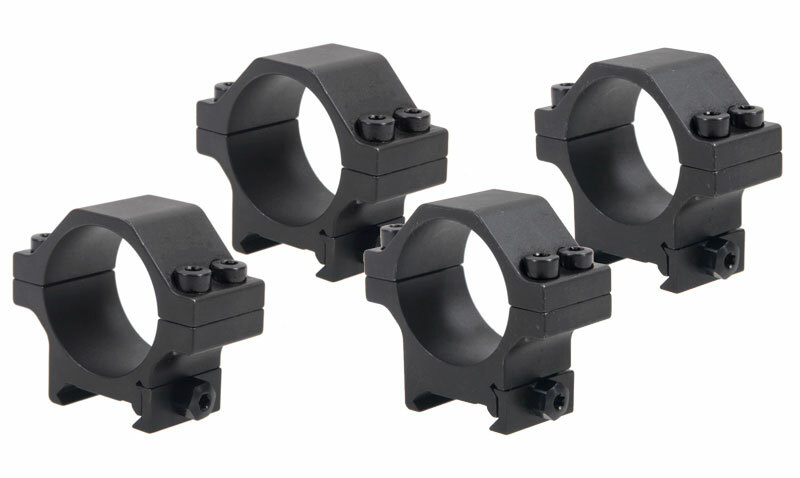 The Ziegler ZP Claw Mount is quickly removed and attached in seconds, it has guaranteed repeatable zero, plus has the option to use multiple scopes on one rifle. See an example of the Ziegler ZP Mounting System on a Victory here. Schultz & Larsen make full use of their CNC machines, keeping them running on other scope mounting parts to produce the maximum amount of output. They have produced a very nice range of picatinny rails, exactly the same high quality design as the ones for their own S&L rifles, but for a number of popular rifle models. 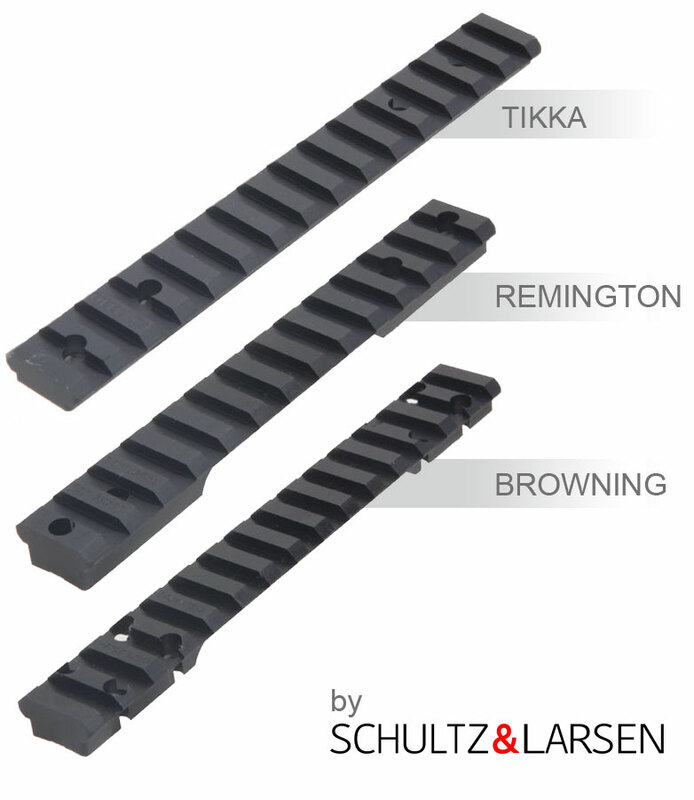 The Schultz & Larsen Scope Mounts are designed to be simple to fit with no gun smithing required. Schultz & Larsen Classic and Victory models have two mounting positions for "Summer" and "Winter" shooting. The mounts sit forward in the summer and further back in the winter to compensate for the thickness of warmer clothing.